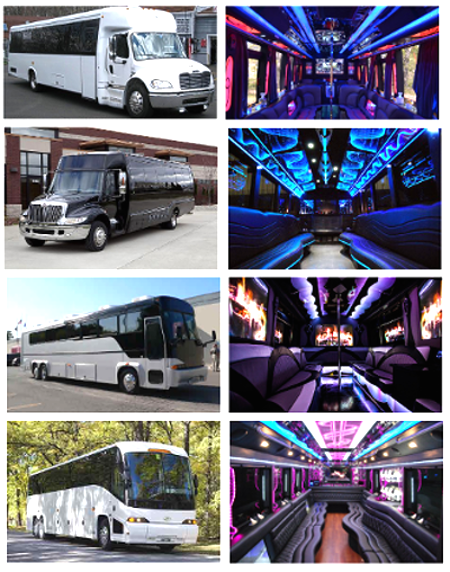 For one-of-a-kind party bus rentals in Winter Garden Florida check out Orlandolimorental.com’s amazing fleet of party buses! Hire one of our extravagant custom built 18 or 40 passenger Winter Garden party buses! You can rent a party bus for prom parties, wedding parties, tailgating parties, bachelor / bachelorette parties, birthday parties, business events, or any special event. These sweet party buses contain luxurious leather seats, large TV screens, multiple wet bars, fantastic stereo systems, in motion satellite, and much more. Give us a call or click on our live online chat button to receive a quote and to rent a party bus. Orlandolimorental.com in Winter Garden Florida is the perfect choice for your large group transportation needs. We have a fantastic fleet of coach buses, mini buses, shuttle buses, party buses, and charter buses. We provide shuttle bus service, airport transportation, and airport transfers to all area airports and sea ports, including the Orlando International Airport. Give Orlandolimorental.com in Winter Garden a call for phenomenal bus service at affordable rates.